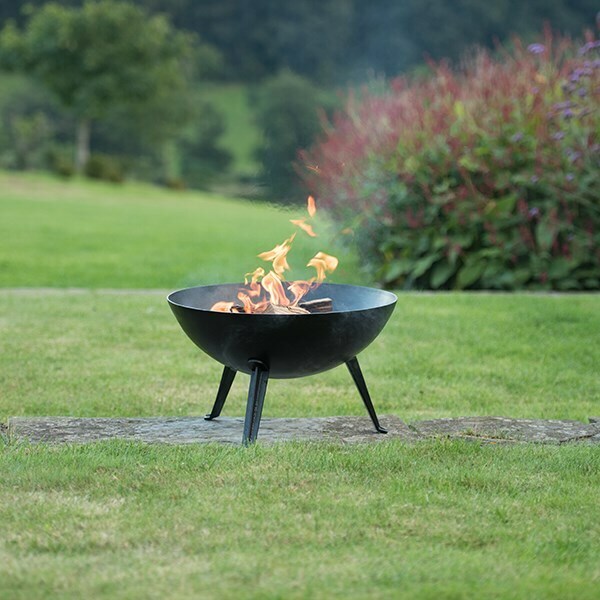 Buy Iron fire pit bowl with cast iron tripod base: <ul><strong><li>Ideal for smaller spaces</li><li>Protective coating</li><li>2-year guarantee</li></strong></ul><br>Traditional-style black bowl brazier with a cast iron tripod stand for exceptional stability. Designed with a compact footprint, it makes an ideal addition to smaller spaces. 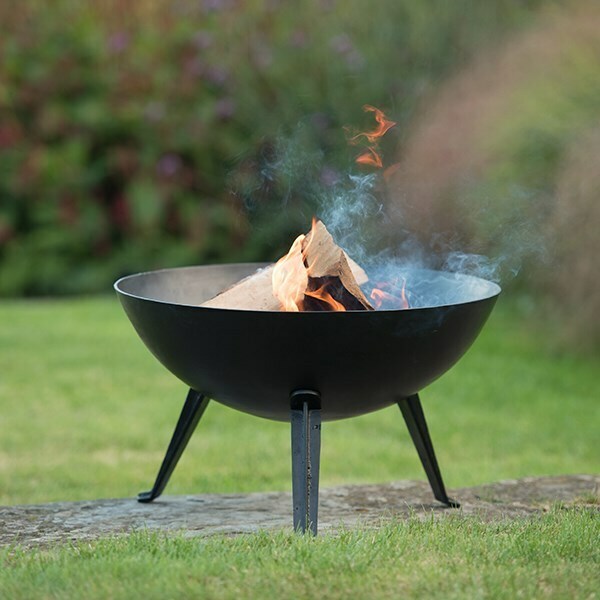 A wonderfully inviting way to enjoy summer evenings outdoors.<br><br><b>Caring for your fire pit</b><br><br>These Crocus Collection fire bowls are made from 3-4mm thick sheet iron coated with a durable fire-retardant paint. They may be left outside all year round, but certain safeguards will help prolong their life.<br><br>When not in use, we recommend standing bowls on their side to prevent them filling with rainwater; leaning against a wall in a sheltered spot is ideal.<br><br>To keep the metal in good condition, regularly coat the surfaces with cooking oil or reapply heat-retardant paint. Over time, exposed metal will naturally rust to produce an oxidised protective coating, but the bowl will retain its structural integrity over many years of use.<br><br>Supplied with a 2-year guarantee.<br><br>Measurements:<br>Small - Ø50cm x H30cm<br>Large - Ø60cm x H38cm<br><br><strong>Warning:</strong><br>For outdoor use only. 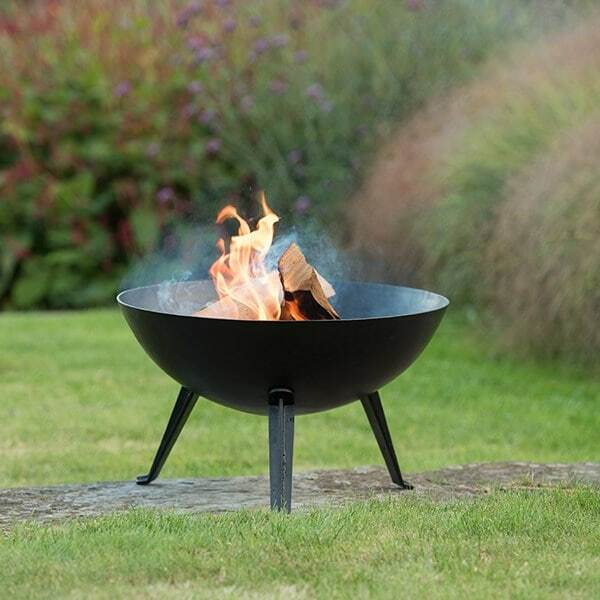 Keep children and pets away from the brazier when lit. Always position away from buildings or combustible objects on a safe, level, non-flammable surface. If using on a paved patio, place on an additional protective paving stone made from solid natural stone or concrete at least 5cm thick. This will avoid possible discolouration and cracking of your patio, as some mock slabs made from resin or ceramic may be susceptible to heat damage. Only for use with logs or charcoal. 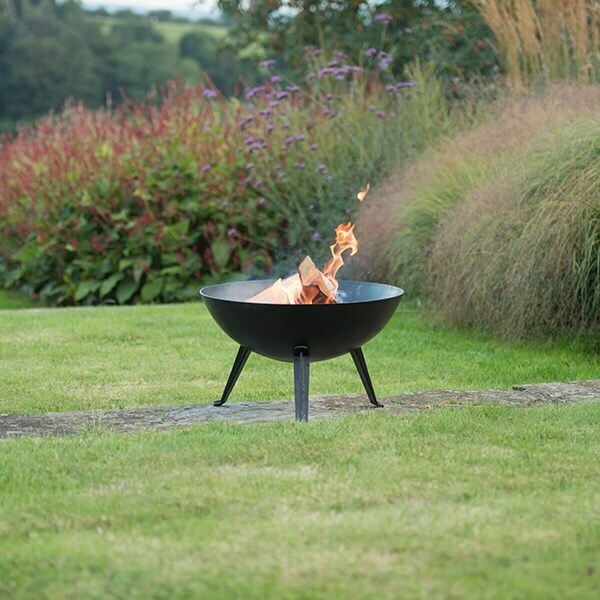 Never leave a lit fire pit unattended or move when lit. Allow to cool before emptying any ash. 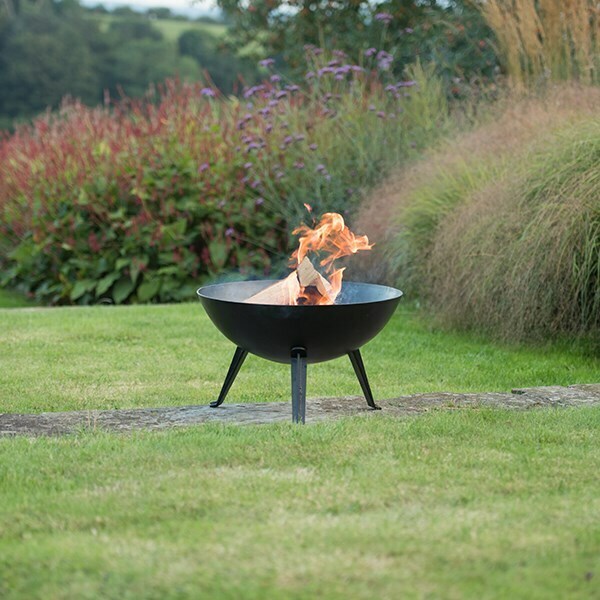 Traditional-style black bowl brazier with a cast iron tripod stand for exceptional stability. Designed with a compact footprint, it makes an ideal addition to smaller spaces. A wonderfully inviting way to enjoy summer evenings outdoors.